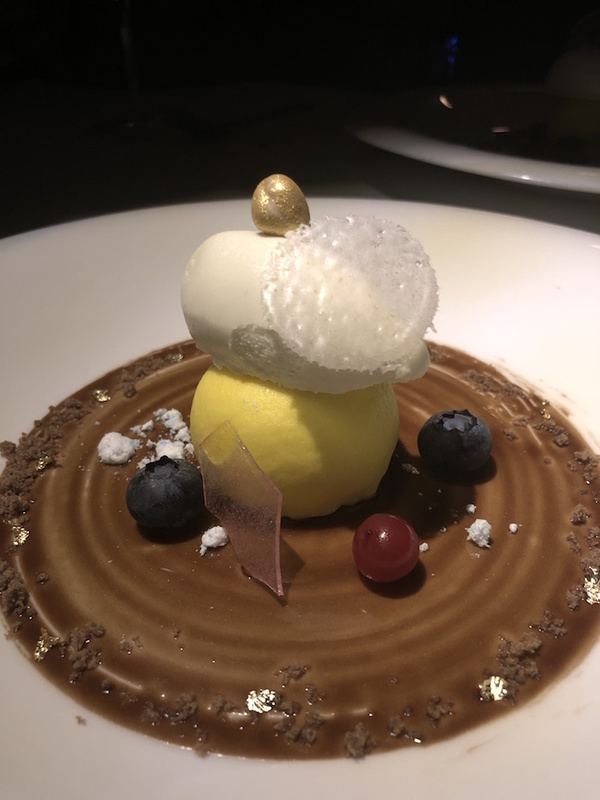 This time around in our Date Night venue review of the week, we hope you can handle high altitudes of love, romance, and fine dining. Be prepared to enter an oasis of calm and charm as you watch the world go by on the 39th floor of The View 3912. The name, of course, alludes to what to expect on an evening dining high up in the sky; The View 3912 indeed has quite the view. Dining while overlooking a twinkling city landscape at night is definitely the kind of romance starter you need, especially on Valentines Day. You’ll be hard pressed to find a better place to feel like you are on top of the world with your loved one. The space is intimate, frequented by those looking for a place to pop the question. In fact, I was sat at the restaurants prized table, adorned with a plaque displaying the number of proposals that has taken place so far at that very spot (3,387). As gimmicky as one might find this, it was genuinely warming to hear of the owner talk with pride and appreciation for couples that had chosen to share one of their momentous occasions at this particular place among many others. 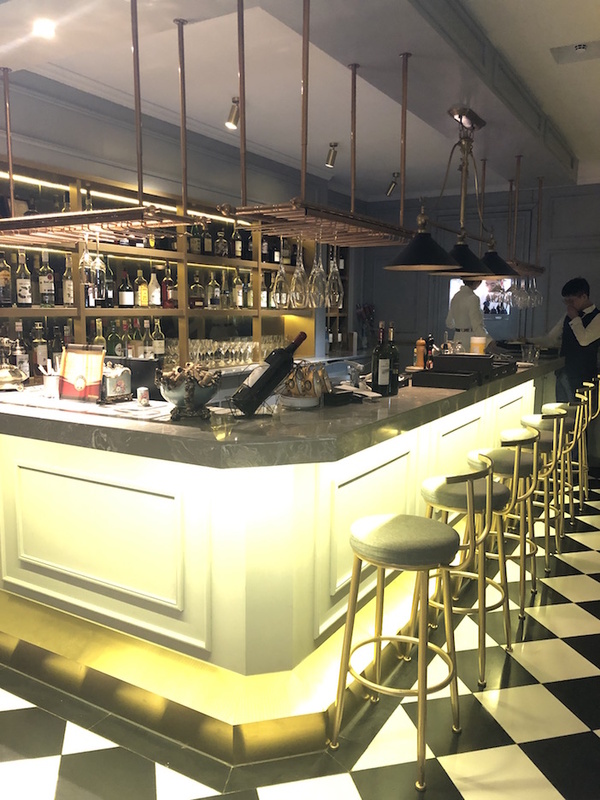 The décor is French chic meets ancient Rome, with dried and fresh wild follows decorating the entrance table, a French bistro style bar and Baroque style furnishings. If you want to be surrounded by all things romance, then this is the restaurant for you. On arrival, I was presented with a glass of Moscato, followed by a canapé of fried potato and sweet chutney. The appetizer was show stopping, and was all about the pomp and ceremony but delivered equally on taste. 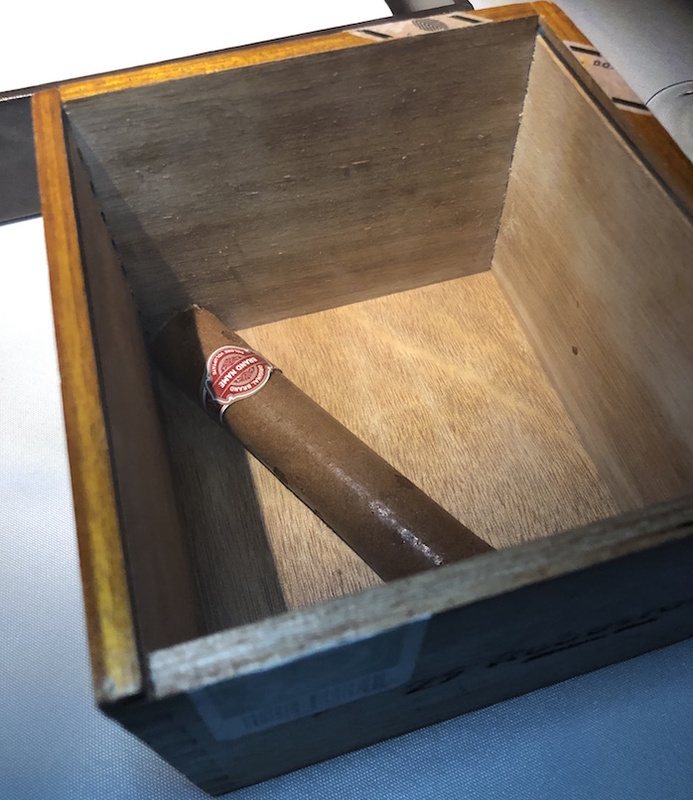 The Goose Liver Cuban Cigar, served in a Cigar Box was light and gamey with a crunch. The delicate Foie Gras neatly rolled and incased in a crispy tuiles was presented beautifully and as I opened the box, the smokey aroma of Cuban tobacco met me just before taking a bite; this is a dish that invites all of the senses to engage. 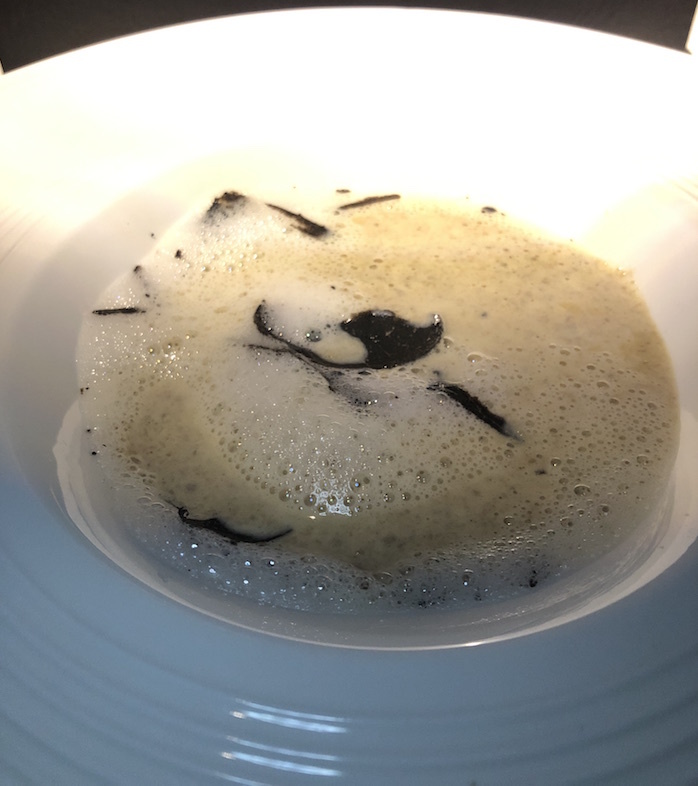 The French mushroom soup was creamy and frothy, and tasted like it had been whipped into a light foam and was decadently flavored with truffle and cream. To be honest, I could have gone for a high-street serving of this, rather than the minuscule fine dining portion I received. It was delicious, but just didn’t last long enough! The Sea Bass was melt in the mouth and meaty. 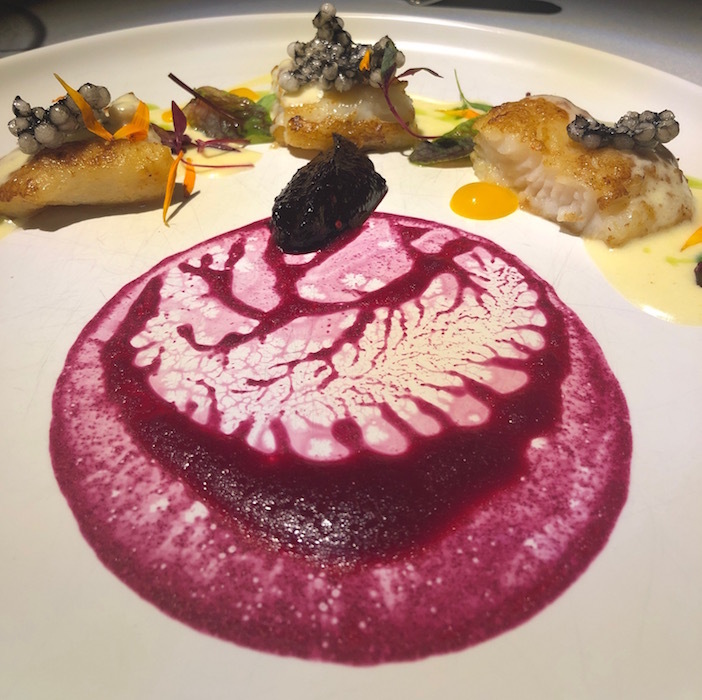 Plated with a sharp blueberry compote, edible flowers and a creamy sauce, the first impression was that the flavor combinations might be a little on the bizarre side, however this dish was a delight to eat and all the flavors worked in harmony with one another. The crème da la crème of the night’s dishes has to be the perfectly cooked Australian fillet steak. 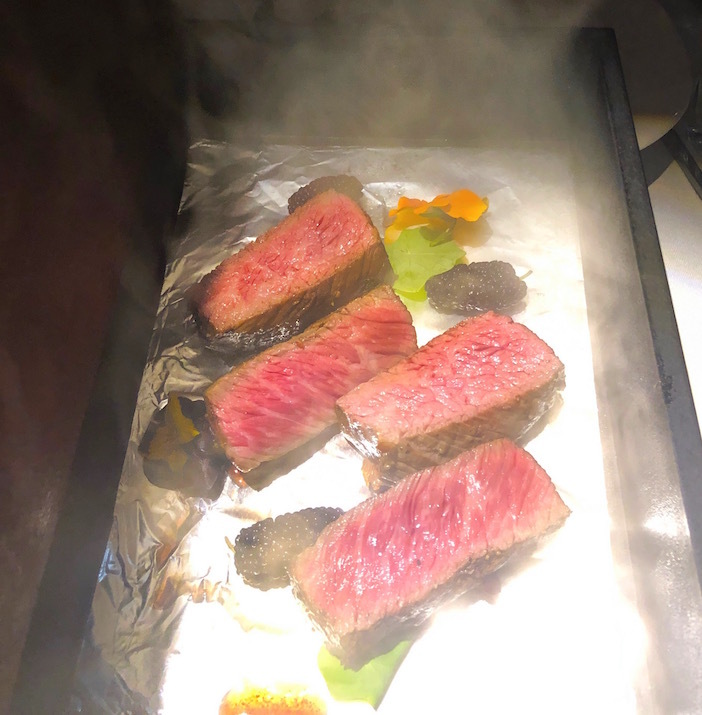 Presented in a smoking aromatic box, served with crispy seasonal vegetables, peas puree, and red wine jus, the beef was well seasoned and tasty. The sides need beefing out a little and one might feel like they need extra carbs in the form of mash potato or a potato gratin for instance. That being said, this was the perfect end to the savories for the evening. The cinematic finale was a duo of sweet French desserts. The selection of desserts change each week and so provide an element of surprise at the end of the dining experience. Dark chocolate, fruit and mango ice cream with a sugar snap and popping candy was yum, followed by petite fleur on ice! The restaurant has a selection of set menus to choose from and this particular six-course set menu will set you back RMB 680 per person. For an extra RMB 260 you can also enjoy a selection of paired red and white wines. I am partial to a little fine dining as long as it isn’t too pretentious and I don’t leave hungry, heading for the nearest 24-hour McDonalds! However, The View 3912 was something special. I didn’t leave hungry, but definitely wanted more. For special occasions and when showing off the city to visiting family and friends, I would give this go.